FACE is proud to introduce Bellafill®, a unique injectable collagen filler with microspheres that instantly smooth acne scars and facial wrinkles for beautiful, natural-looking correction that lasts. 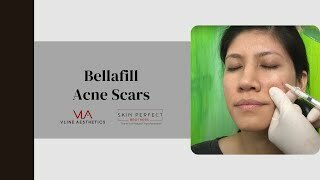 Injecting fillers into scars is nothing new, however, Bellafill is groundbreaking in the way it immediately begins to restore lost collagen. After treatment, the restoration continues as PMMA microspheres spread to form a scaffold that the new collagen can develop around.